Removing a Logical Folder will also remove all of its contents from the project. The files will not be deleted from your hard drive. 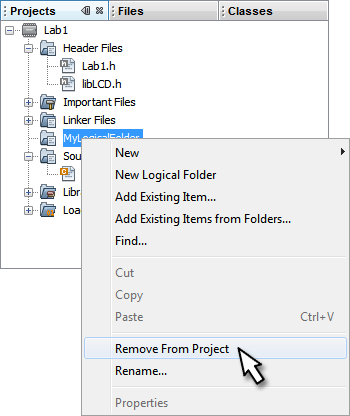 Right click on the folder you wish to remove and select Remove From Project from the pop-up menu.